Background and Purpose: Not accepting the disease by HIV/AIDS patients causes a lot of side effects for the patients and their treatment process. This study aims00 to explain the hindering factors in accepting the disease by HIV-AIDS patients as a barrier for seeking treatment. Methods: This research is a part of a grounded theory study. The data were collected through semi- structured interviews. 13 patient participants, 3 family members and 2 health professionals were chosen based on goal-based sample among HIV/AIDS patients in AIDS and Behavioral Disease Consultation Center of Tehran Imam Khomeini Hospital. Data analysis was performed along with the sampling. Results: The data and the analysis of the data done with HIV/AID patients' experiences from hindering factors led to emerging two main classifications (personal factors and social factors) and five subdivisions. Conclusion: The existence of hindering factors in accepting the illness may delay treatment and accessing the health services. Therefore, it is suggested to take some necessary health, medical and advisory actions to identify and remove the hindering barriers. Background and Purpose: Surrogacy is a new assisted reproductive technology requiring to be perceived based on the real experiences of surrogacy patients regarding its legal issues so that legislators are able to enact appropriate laws for such patients' safety. This study pursues the goal to examine the experiences of commissioning mothers and surrogates confronting legal issues. 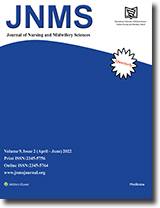 Methods: This paper is part of the findings of a larger study conducted over 20 months from October 2011 to June 2013 using the grounded theory approach to explain the process of becoming a mother in commissioning mothers. The experiences of mothers using gestational surrogacy have been analyzed through the conventional content analysis method and then reported in terms of the legal issues of surrogacy. Overall there have been 20 participants including 11 commissioning mothers and 4 surrogates. For incorporating the resources, 5 fertility clinic personnel have also been interviewed. Totally 25 unstructured in-depth interviews have eventually been performed. Data have been collected via purposive sampling method within Royan Institute, and then due to the inadequate number of samples, sampling continued in other surrogacy treatment centers. Results: Commissioning mothers and surrogates suffer a great amount of stress at the time of childbirth, and lack of legal support imposes plenty of problems on them. Participants' experiences revealed a common theme of “legal constraints” with three dimensions as “inefficiency of current laws”, “receiving inadequate educational support services” and “stress and frustration”.s Conclusion: Results indicate disagreeable legal settings for surrogacy leading to a high level of stress imposed on the clients using these technologies. The treatment team should inform the families about the entire process ahead of them before they make their final decision so as to enable them to enter the process fully aware. Background and Purpose: One of the dimensions of nursing faculty staff competency is management. Thus discovering and explaining it for planning, administrating educational, research & administrative affairs is very important. This study aims to discover the meaning of nursing faculty staff managerial competency in the students' & teachers' mind. Method: This study is a qualitative one with content analysis approach. The data have been gathered through deep unstructured interviews in the form of 30 individual and one focus group. The sampling has been done as purposive in 2012-2013 at Mazandaran Medical Sciences University. The data have been analyzed by conventional qualitative content analysis method. Results: The data resulted in extracting 3 themes: promoting interaction & communication capability, boosting management capability, paying attention to & observing nursing standards and 7 categories: facilitating the relationship among the coworkers, officials and students, creating relationship with influential people in order to promote the major, shouldering the administrative responsibility, managing the educational & class group, enriching the specialized sessions, having discipline & adhering to the professional principles. These themes indicate the semantic features perceived by nursing faculty staff and students about nursing teachers' managerial competency. Conclusion: Besides presenting 3 basic features of nursing faculty staff managerial competency, the present study could determine the criteria of these features regarding the field conditions. These findings can be applied for designing the rating scale for nursing faculty members' professional competency. Background and Purpose: Sleep breathing disorders have a negative impact on the illness outcome and quality of life in patients with heart failure. This study was conducted to investigate the probability of obstructive sleep apnea in men with heart failure and some related factors. Method: This was a cross-sectional study conducted on 100 male patients with systolic heart failure selected through convenience sampling. Demographic data, anthropometric indices, and information about the disease, treatment, and STOP-BANG questionnaires were collected through interviewing subjects. Data was analyzed with SPSS 18 using descriptive statistics, t-test, Pearson correlation and linear regression. Results: 87% of heart failure patients were at a high risk of obstructive sleep apnea. The probability of obstructive sleep apnea had significant relationship with age and neck circumference (p<0.001). A significant difference was found in the mean score of obstructive sleep apnea compared with renal disease (p=0.020), use of angiotensin receptor blockers (p=0. 013) and diuretics (p=0. 019). Conclusion: Due to their longer and more direct contact with patients, nurses have more opportunity for evaluating obstructive sleep apnea in patients. Obstructive screening questionnaires of sleep breathing disorders is a simple and economical way for identifying the patients with a high risk of this problem and referring them for more accurate diagnosis and treatment, which can play an important role in reducing the negative outcomes of the disease and improving patients' quality of life. Background and Purpose: Spiritual health is one of the important aspects of health status that may be influenced by QOL. Researchers have shown the relationship between spiritual well-being & a person's general health, so that religion and spirituality are considered the important resources for coping with stressful life events. This study aims to identify the relationship between spiritual well-being and quality of life in hemodialysis patients. Method: In this descriptive analytical study, 72 hemodialysis patients were selected using convenience sampling method. Information was collected by Paloutzian spiritual health and quality of life questionnaires (SF36). Data were analyzed by using descriptive and analytical statistics (Pearson correlation coefficient, t-test, ANOVA). Results: In line with these findings, the quality of life of the patients (47.8) 88.47 and their spiritual health scores (21.13) 88/91, most were moderate.There was no significant relationship between spiritual well-being and QOL. But there was a significant positive correlation between spiritual existential aspect of well-being and the dimensions of fatigue (P=0.02, r=0.26), emotional health (P=0.003, r=0.34), social functioning (P=0.01, r=0.29) and general health (P=0.01, r=0.29) and social performance (P=0.01, r=0.27). Also social performance had a significant positive correlation with spiritual well-being. Conclusion: According to the results, a significant relationship was observed between some aspects of quality of life and spiritual well-being. In order to understand the factors affecting the quality of life, exploring strategies to improve it and strengthen some aspects of spiritual well-being that affect the quality of life in hemodialysis patients is emphasized. Background and Purpose: Diagnosing coronary artery disease can cause considerable impairment in patients' mental health. On the one hand, psychological factors play an important role in the development and progression of heart disease. Therefore, identifying the factors affecting the patient's ability to adapt such as spiritual intelligence (SI) is significant. The study aims to determine the status of spiritual intelligence and its related factors in patients suffering from ischemic heart disease. Methods: This study community consists of the patients with ischemic heart disease hospitalized in cardiac ward of Dr.Heshmat Hospital; 186 patients were selected by accessible sampling method. Data were collected by spiritual intelligence 29-item questionnaire and analyzed by descriptive and inferential statistics (t-test, ANOVA and Pearson). Results: In this study, the majority of the samples were in the age range of 45-64 years old (68/8%), men (67/2%), married (99/5 %), with elementary education level (51/1%) and housewives (29%). The results implied that more than 90% of the patients had high spiritual intelligence. Also based on the statistical analysis, no significant association has been observed between the demographic variable and spiritual intelligence. Conclusion: It seems that high spiritual intelligence in the community resulted from stress induced illness leading to their greater tendency to spirituality. In general, according to the psychological literature, spiritual intelligence can promote the patients' mental and physical health. Then, paying attention to spiritual intelligence in these patients seems to be critical. Background and Purpose: In some patients, invasive radiology procedures by using anesthetics and contrast may lead to certain reaction. Therefore, consent must be obtained from patients. At the moment, some radiology centers obtain the consent from the patient in some of invasive radiology procedures in Iran. Due to the importance of consent and its position in patients' ethics, and because of lack of national order, and by considering the effect of individual attitude on the execution of each process; therefore, in this study, the attitude of radiologists as supervisors of the executive policies of a radiology center has been investigated. Methods: This cross-sectional descriptive study was done in Mazandran province in Iran. The study population consists of all radiologists (66 radiologists) from 83 radiology centers. A questionnaire with alpha 0.8 designed at 5 axes and self-administration was used. The data were analyzed by descriptive analysis indices and using SPSS software. Results: from 83 radiology centers with 66 radiologists, only 51(77%) filled in the study questionnaire. The number of images taken per day was 45 on average and the invasive images were 2±2.The participants under study had positive attitudes towards obtaining consent form. Conclusion: Considering the positive attitudes of participants under study, it seems that the radiologists would agree to get consent form of the patients undergoing the invasive procedure of imaging. Background and Purpose: Strengthening marriage relationship includes a body of programs focusing on boosting the couples' common understanding, honesty, trust, empathy and coordination. Premarital consultation along with the couples' relationship enrichment can result in their improved relationship. The current study aims to analyze the studies conducted on consultation programs for marriage relationship enrichment and marriage strength. Methods: The current study is a narrative review performed using key words related to advanced search in database like Pubmed, Google Scholar, Web of Sciences, Magiran, Iran Medex and SID in the past 20 years. After recovering 57 papers, 10 Persian ones along with 25 English papers directly related to this issue and cited by famous authors many times have been given in the paper's results. Results: The findings show that premarital consultation through promoting life skills, familiarity with spouse selection criteria and paving the ground for accepting gender role in marriage can be considered as one of the critical components of strengthening marriage. Conclusion: Premarital consultation helps human beings to improve their relationship by knowing themselves and their would-be partner, clarifying their expectations from each other, promoting problem solving and getting aware of compatible and incompatible characteristics before marriage. By considering the population policy of Iran and in order to meeting favorite relationship between newly wedding couples, it's suggested to provide suitable premarital counseling packages according to Iranian socio-cultural context.